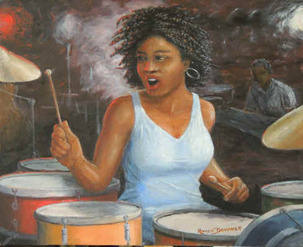 Romeo Downer's artistic journey began years ago on the quaint Caribbean island of Barbados. 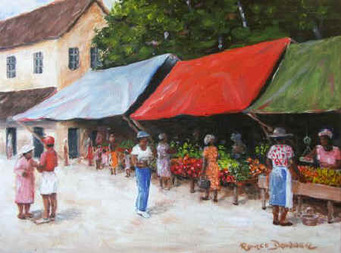 During his early school days, Downer's artistic ability was brought to the attention of Carl Broodhagen, a well-known artist in the Caribbean. With Broodhagen's tutelage and encouragement, Downer was able to sharpen his drawing skills. 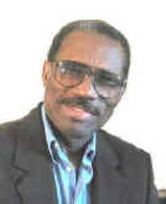 Later, he joined the staff of Barbados' The Advocate newspaper, where his cartoons, many of which expressed the current political issues, became a popular installment of the daily publication. While Downer continued to to relish in his love for drawing, he also developed a new talent as an avid amateur photographer. He was able to put this new skill to task when The Advocate, filling in for photographers on several occasions..
​​At the age of 21, Downer immigrated to America and continued his education in photography. This led to a career with Hughes Aircraft Company in California where he was a Technical Research photographer. For many years he served as the company's aerial photographer and participated in the development of several systems for the US air defense. Throughout Downer's 28 years at Hughes, he continued to hone his skills by attending art classes at UCLA and Arts Center in Pasadena. Unfortunately, he found that work and raising a family left little time for painting. Now, thanks to early retirement Downer can devote his time to his brush, canvas & passion. ​Downer expresses his youth and West Indian experience with an artist's hand in vibrant hues that bring the color, cadence and culture of the Caribbean to life. His photographic background, namely his attention to composition and detail, are strong influences in many of his paintings. Downer has held art exhibitions in the Hilton Hotel in Atlanta in November 1996, JFK Ramada Plaza in New York in July 1997, the Hilton in Los Angeles in July 1998, the Clarion Hotel in Florida July 1999, the Furama Hotel in Los Angeles in June 2000 and in November through December, 2002, the Craftery Gallery sponsored his paintings in a one-man exhibition in Hartford, Connecticut. 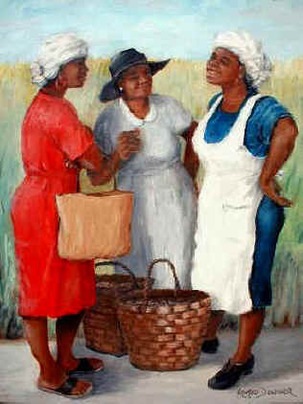 His work can also be seen in galleries in Barbados and St. Thomas. Several of his paintings are on loan to the Los Angeles County Museum of Art where they are used in the rental program. At home, all available wall space is devoted to his work -- a feast of color. Brilliant tropical greens, parrot reds, cheerful yellows, and warm browns punctuate his work. His goal is to show to the world the colorful people and places of the Caribbean as he sees them.